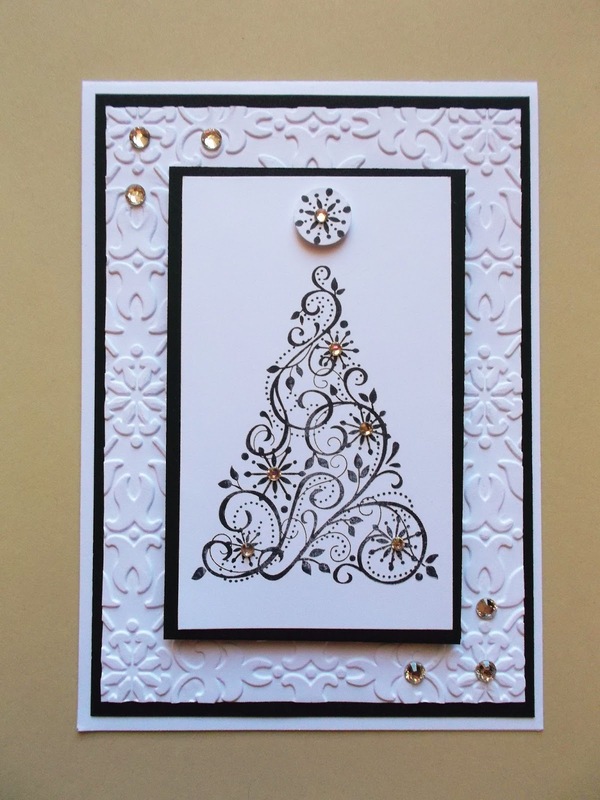 This time I decided to make a Christmas card using only 2 colours. Black and White is always a popular colour combo. 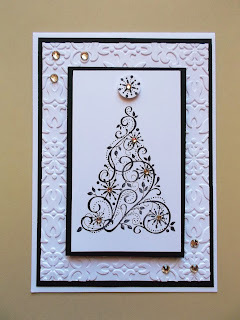 Accessories: Embossing Folder - Vintage Wallpaper, Rhinestone Basic Jewels, Circle Punch, Stampin Dimensionals and Adhesive.